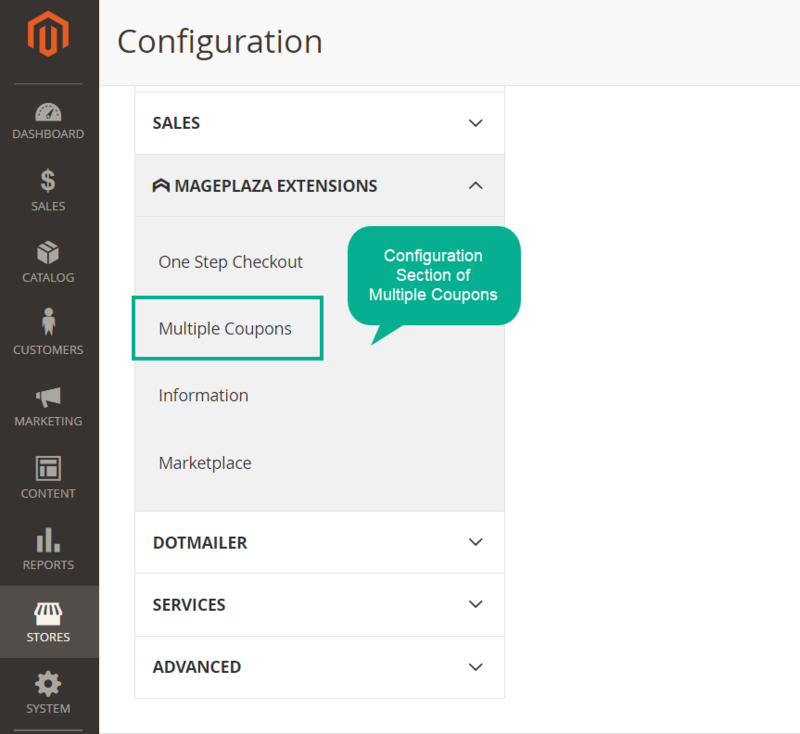 Magento 2 Multiple Coupons is the supportive extension to help customers to add various coupons in one order. This way helps shoppers to gain more chances with better prices while stores can increase conversion rate and boost sales significantly. mood_bad Customers can not take advantages of several coupons for one purchase, abandon their current carts quickly. A customer has collected several coupons and he would like to use some of them for his cart in one purchase. He would like to gain more benefits for one order via many coupons. However, he is forced to use only one, and to use another one he has to open another cart. As a consequence, he will easily leave the current shopping and have a bad view of the store. With the aim to increase conversion rate, store owners generate various discount coupons, and wish that they can be applied in one time for one cart to motivate the shopper to make the purchase decision quickly. 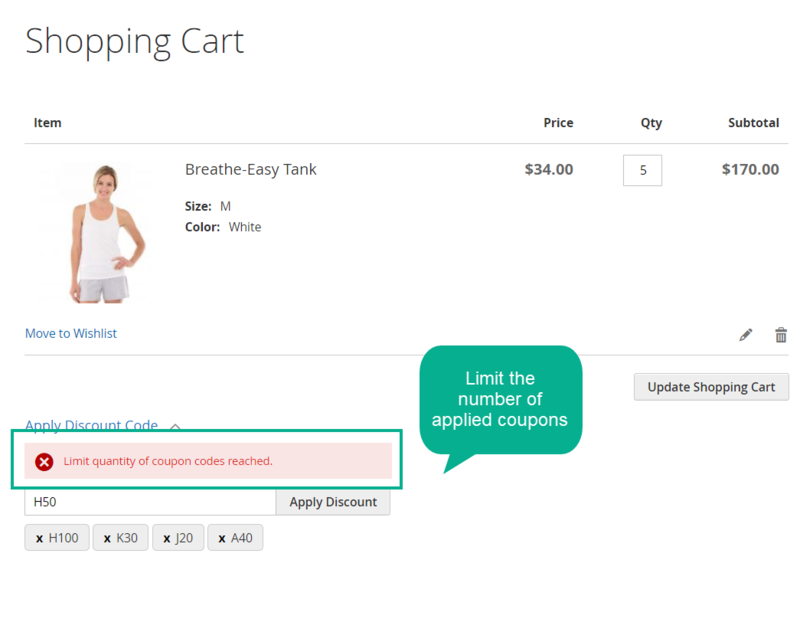 In Magento 2 default, it is limited that a cart is allowed to apply only one coupon code. If a customer has two coupons, he has to make two separate orders, which makes both customers and store owners feel inconvenient. The customer can use collected coupons and apply them simultaneously in one cart and get very good discount prices. They will feel satisfied with store policy and would like to collect more discount code and come back for the next purchase. When customers are offered several coupons and are allowed to use several discount code for one cart. They are likely to feel happy when getting a better price and quickly make the purchase. As a result, stores have a sharp increase in sales. A store owner can generate various types of coupon codes, and create different campaigns, each of which will use a mix of coupon codes. Next, the store owner can have different reports and find out which campaign is the most effective. 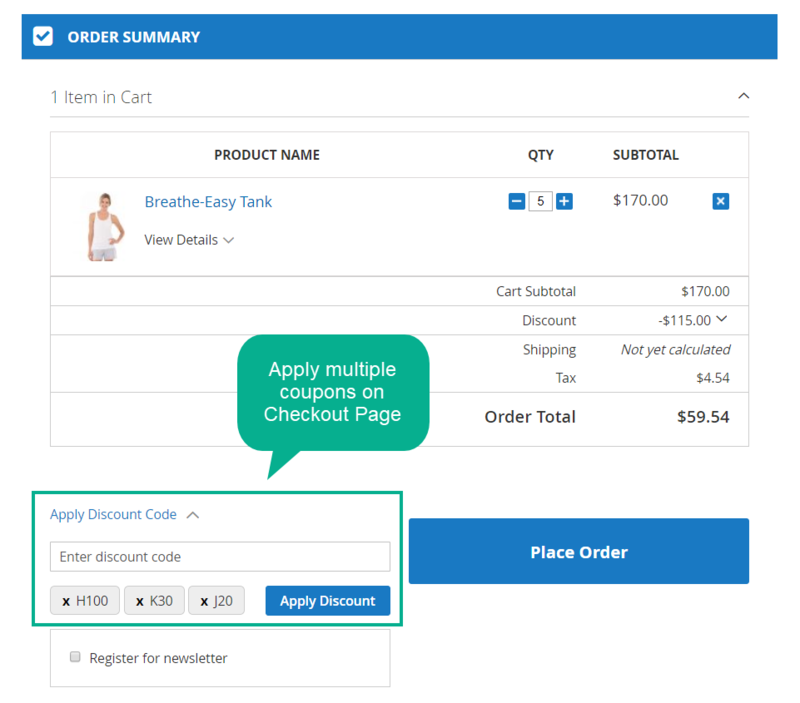 Apply coupons on both Shopping Cart page and Checkout Page Mageplaza Multiple Coupons for Magento 2 allows customers to add easily various coupons during their shopping process on both Shopping Cart page and Checkout Page and take advantages for one order. In case stores are using One Step Checkout page, this extension is well compatible and supportive. Change the mind, remove applied coupons easily A customer can take benefits of several coupons and use them in one time to gain the best discount for an order. Besides, if the customer has any change in mind, he can remove any applied coupons to use in another chance. 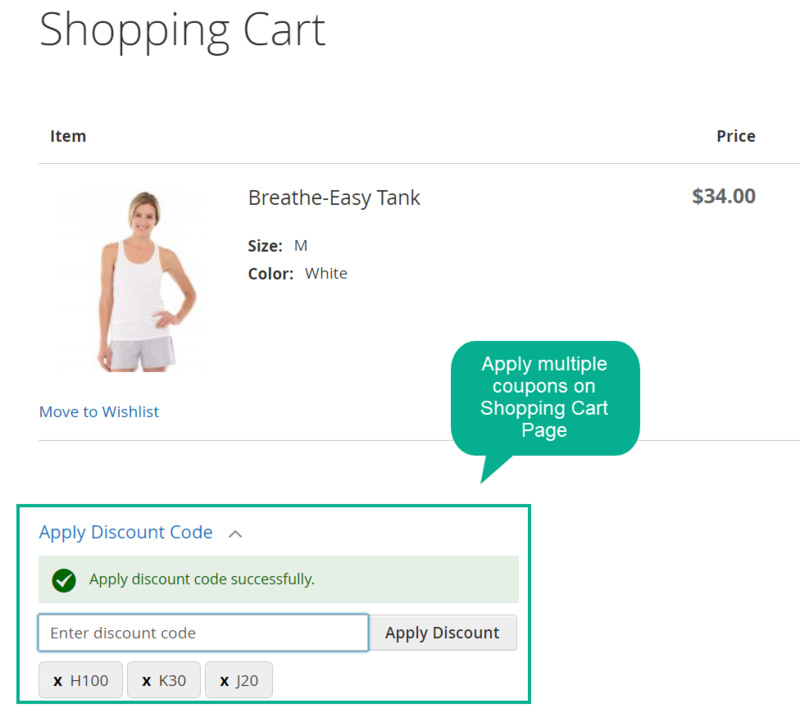 Another noticeable feature of Magento 2 Multiple Coupons is applying or removing several coupons to the orders created from admin backend. From the admin backend, admins can easily create a new order for a customer, add products and then select available generated coupons. Admins are allowed to apply several coupons at the same time. Besides, with just one click, the applied coupons can be removed easily. 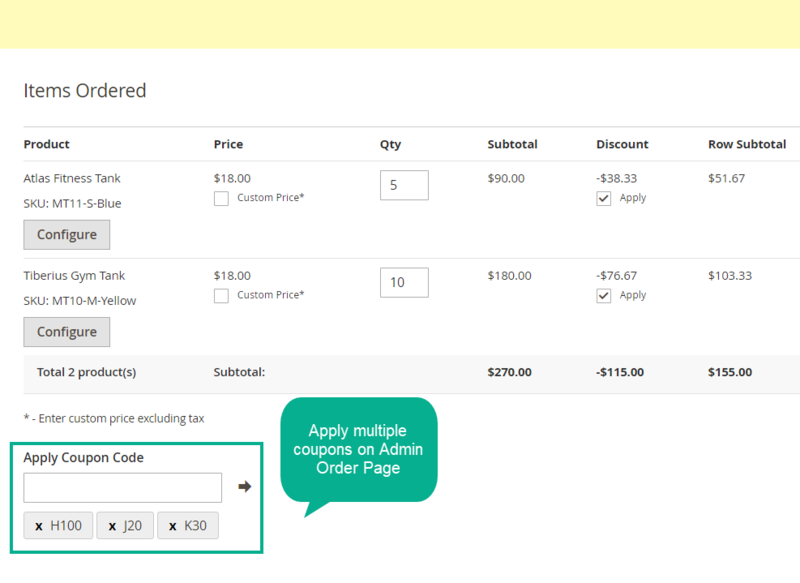 With this feature, admin can support customers very well to create appealing orders with available coupons. 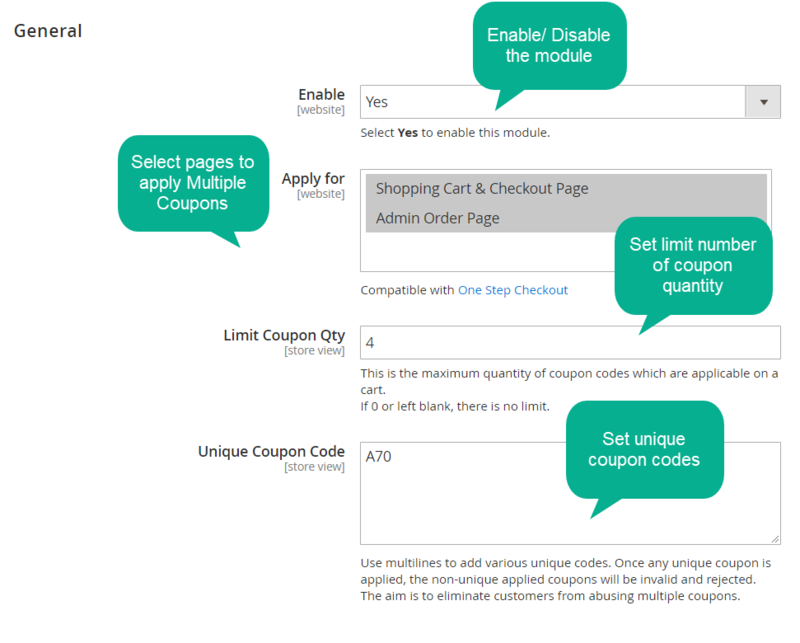 Set the limitation for coupon quantity Magento 2 Multiple coupon codes module allows customers to add several coupons while it allows store owners to limit the number of coupons. Depending on each campaign, store owners can decide how many coupons are allowed to be used per cart. Unique coupon with restriction power Another interesting point of Multiple Coupon Codes extension is unique coupon codes. From the admin backend, store owners can set the one or some unique coupon, and when one of which is applied, other coupons will be rejected. Both of two ways supports stores to control the coupon usage of customers and make sure the discount to each order is suitable for both sides. Ajax technology is also added to this extension. With any applying or removing action on three pages including Shopping Cart, Checkout, Admin Order, the pages are not be loaded thanks to Ajax support. This improves customer experience during their shopping on the store site. As coupon codes with better benefit and Ajax for a better interface, it can be definite that customers can have a good time with their shopping. Generate coupons from admin Cart Price Rules. filter_drama How can I generate coupons? 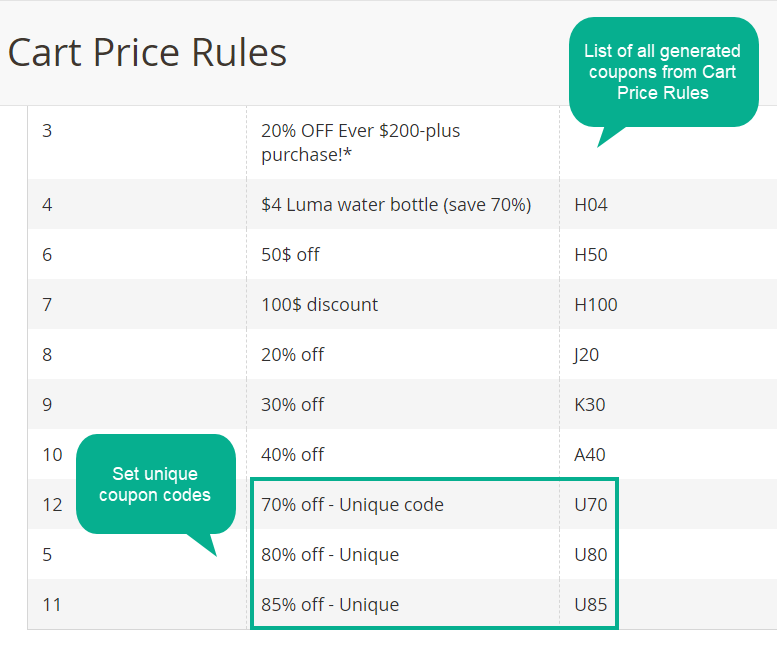 To generate coupons, please go to Marketing > Cart Price Rules and configure any coupons you want without limitation. filter_drama Our customer has collected 5 coupons. But I would like her to use only 3 ones? How can I do? In this case, you should limit the number of applied coupon per order. From the admin backend, kindly go to Multiple Coupons > Limit Coupon Qty, then set 3.
filter_drama This time I have a big discount campaign with 70% off. I would like customers who use this coupon will not able to apply other ones at the same order. Can I do? You can do properly via setting 70% coupon code as the Unique Coupon code from the admin backend. Once this coupon is applied, other coupons will be rejected. filter_drama In case a customer already applied a coupon then he would like to remove it, is it possible? If yes, is the page reloaded? Yes, after applying one (or several) coupons, customers can remove it easily. Besides, with Ajax, the page will not be reloaded. filter_drama Can an admin add coupons from backend? Yes, it can be done easily. From admin backend, please go to Sales > Orders > Create New Order > Add Product, after filling information, you can add coupon codes to this order. filter_drama Which pages can customers apply coupons? Customers can use their available coupons and apply on Shopping Cart page and Checkout page. filter_drama My store uses One Step Checkout page. Can Multiple Coupons be applied to this page? Yes. Multiple Coupons is properly compatible with One Step Checkout page. From OSC configuration, admins can select to place the Coupon Box in Payment Area or in Review Area. 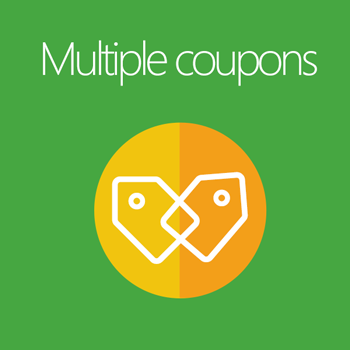 Thanks to Multiple Coupons, our customer now can apply multiple coupons. We have received many good reviews from our customers recently. Highly recommend this extension!